This finishing par 4 features Ithan Creek running parallel to the fairway and directly in front of the golfer on the tee which entices the golfer to decide how much of the creek to carry. Tee shots carrying the water on the left will be rewarded with a short iron second shot. Safe tee shots to the right must avoid the cluster of fairway bunkers lining the right side of the fairway. Second shots must avoid the green side bunkers and Ithan Creek which hugs the left side of the green complex. A medium length, tight dogleg left, par 4 demands a solidly struck tee shot leaving a middle iron to one of the smallest greens on the course. Out of bounds guards the entire left side and a pond and numerous trees are situated on the right side of this unforgiving hole. The signature hole! A beautiful short par 3 from an elevated tee requires a perfectly struck shot to position the ball on the correct tier for a chance at birdie. A menacing pond devours poorly struck tee shots. 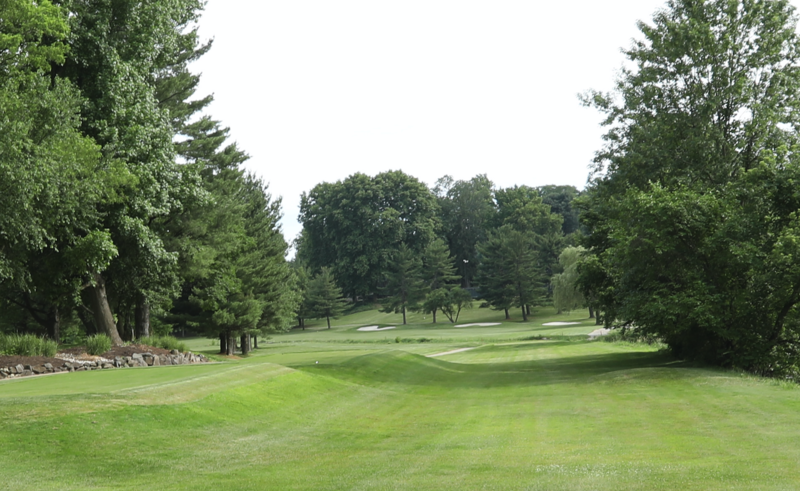 A medium length, severe dogleg right par 4, requires a tee shot of 225 yards to gain a clear view of the green as several willow trees guard the right side of the fairway. The second shot plays more uphill than it appears. 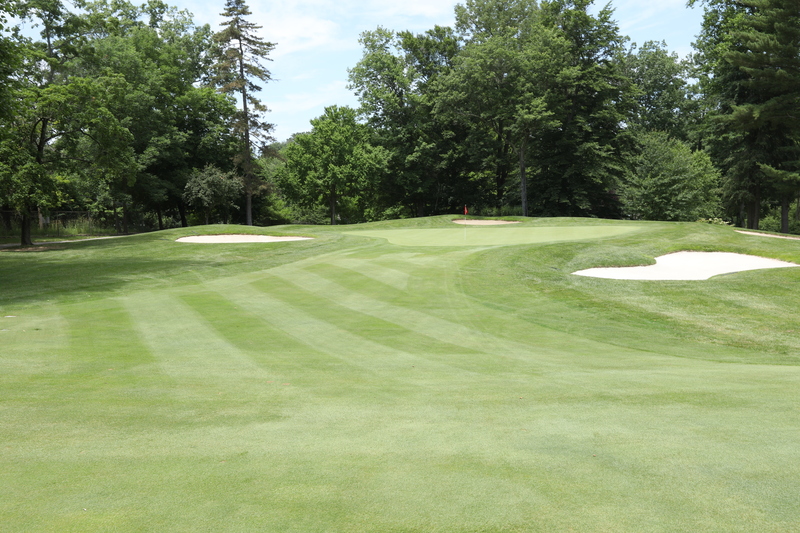 This green is the largest and one of the most undulating putting surfaces on the course. This long par 4 plays uphill to a very narrow green. Long approach shots make hitting this green in regulation a rare occurrence. An extra club is suggested for the second shot. The putting surface is deceptively sloped from the back to the front of the green. 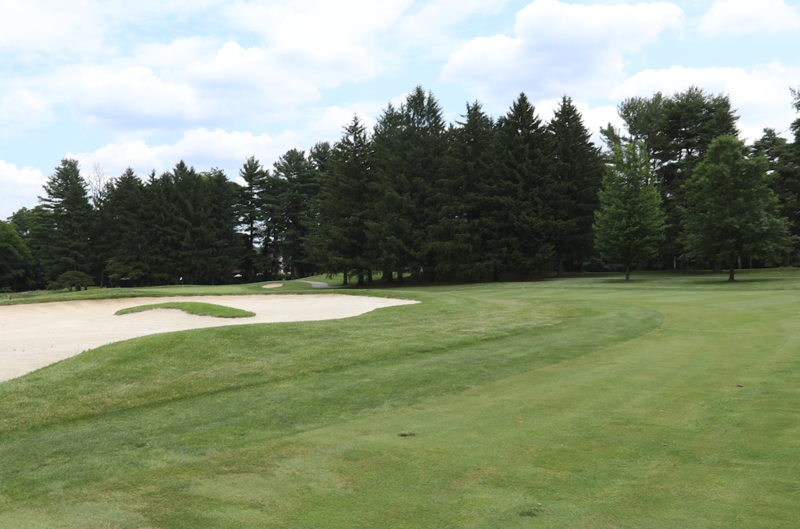 One of the more picturesque holes on the property, this long and narrow par 4 demands an accurate tee shot with out of bounds lining the right side and trees guarding the left side of the fairway. The second shot plays to a kidney shaped green that sits at an angle to the golfer making club selection quite the challenge. The left side of the green is guarded by a large pond. 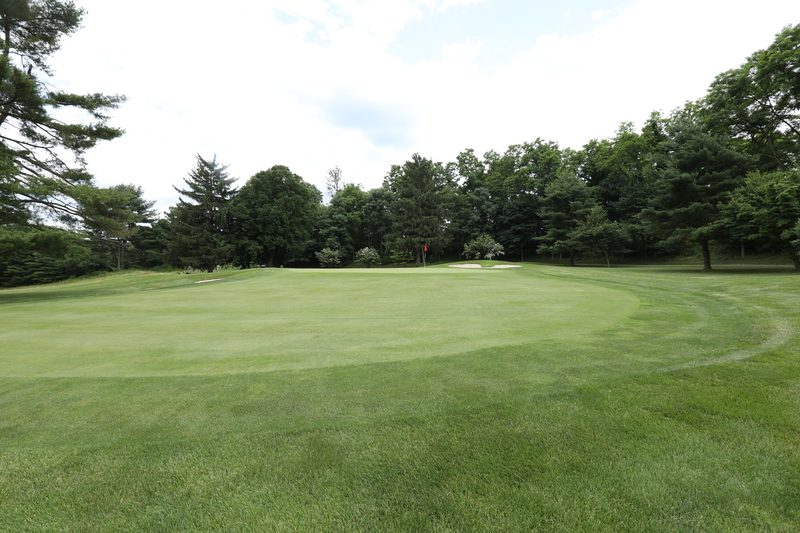 A medium length par 3 to a relatively flat putting surface offers a birdie opportunity which is much appreciated after a previous stretch of demanding holes. An island fairway demands that the golfer play from the short grass with the tee ball on this wonderful par 5. Fairway bunkers guard the right side of the fairway on the second shot. The best approach to this severely sloped two tiered green is from the left side of the fairway with a precise wedge shot. Controlling the spin on the approach shot is paramount when playing to a hole location on the top tier. This long uphill par 4 requires the golfer to negotiate another side hill lie to an elevated green. Reaching this green in two shots is rare and making birdie is even more so since the green is one of the most challenging on the golf course. A long uphill par 3 with one of the most severely sloped greens on the course. Golfers must stay below the hole to have a chance at par or a very rare birdie. This hole was ranked as the most difficult hole during the 2010 Sr. Us Open Qualifying. This par 5 is reachable in two shots if the player can strike their tee shot 270 yards down the right side of the fairway. The second shot is played from a downhill side hill lie. Avoiding the menacing bunkers short right of the green are key to making a good score on this hole. 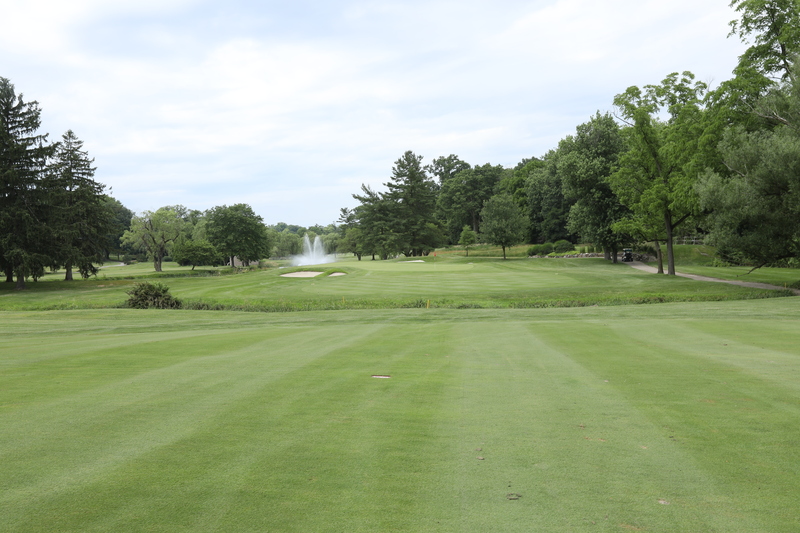 In order to play from the fairway on this shorter par 4, the tee shot must be played down the left side of the fairway as the terrain slopes from left to right. 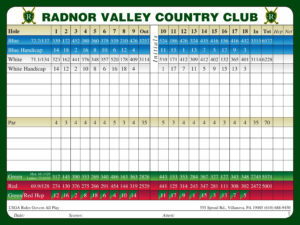 The second shot is played to a two tired green with the left side of the green being more elevated that the right side. Hole locations on the right side of the green require a high soft shot. This tight uphill, side hill par 4 requires an accurate tee shot to a sloping right to left fairway. The uphill, side hill second shot must be skillfully played to a very challenging green complex. An extra club is well advised on the second shot. This short dogleg left par 4 demands a precise tee shot to avoid fairway bunkers and fescue. 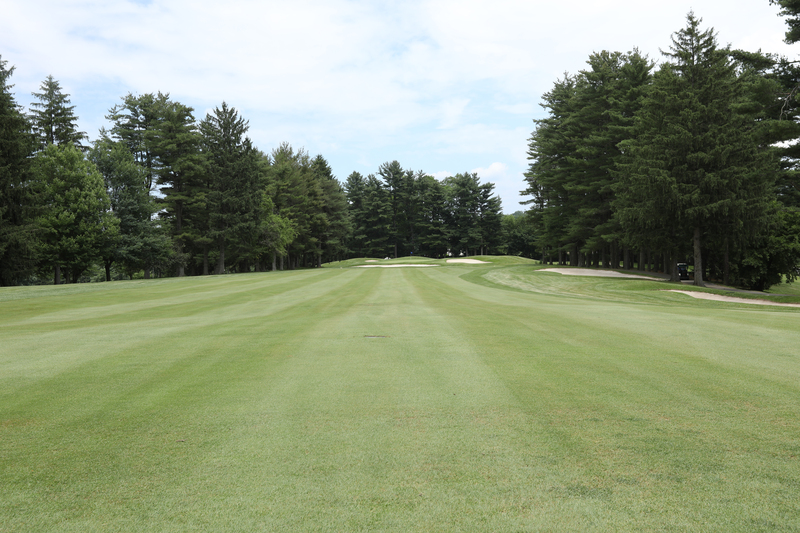 Second shots played from the fairway are usually well received by one of the flattest green on the course. A monster straight away par 4. 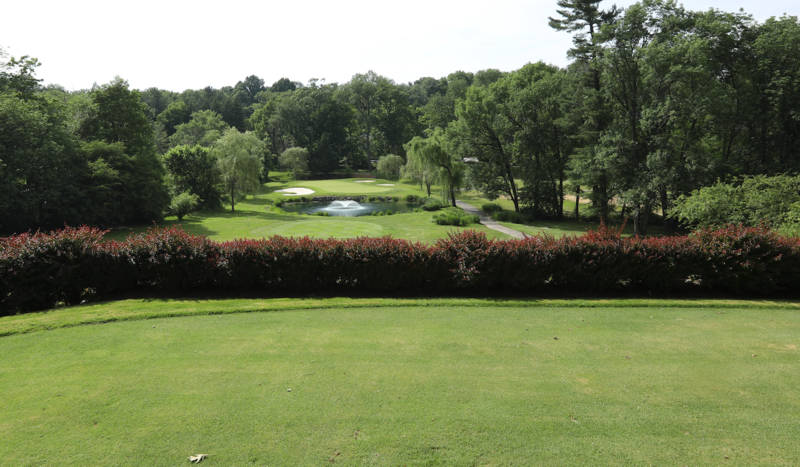 Standing on the elevated tee affords the golfer of a gorgeous view of the entire hole. 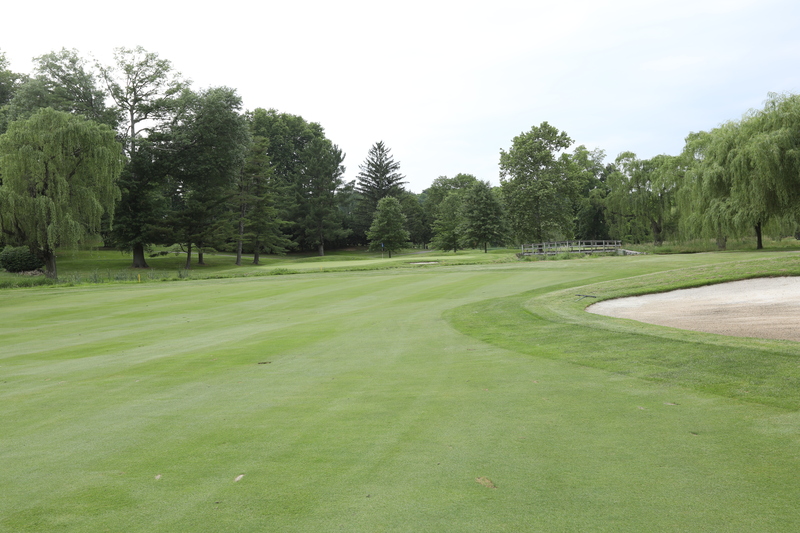 Reaching this extremely undulating green in two shots is a rarity. Once on the green the challenge isn’t over as this green slopes severely from back to front and right to left. A medium length par 3 that demands a well struck tee shot. Poorly struck shots landing left or right of the green may find the surrounding lateral hazard. This short par 4 dogleg right eases the golfer into their round. A 200 yard tee shot down the left center of the fairway will be rewarded with wedge shot to a rather generous green. 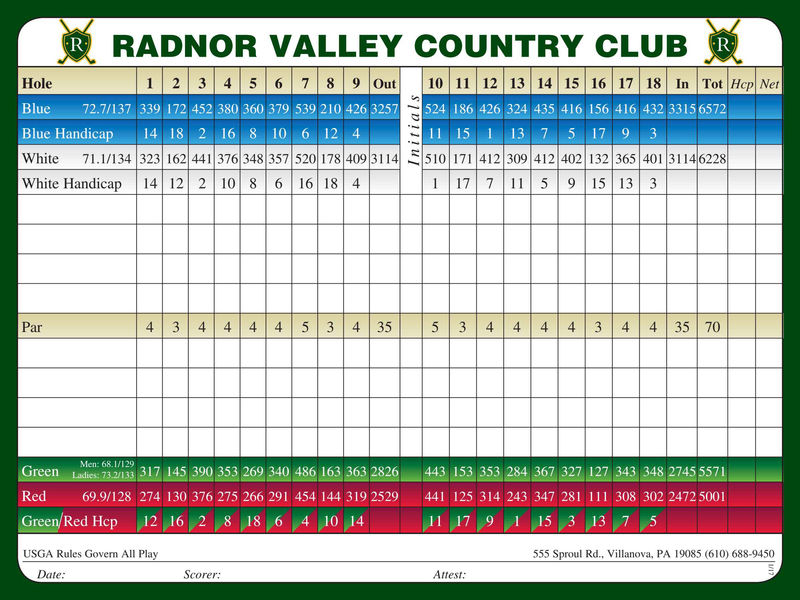 Radnor Valley is one of the Philadelphia region’s hidden gems. A championship 18-hole, immaculately manicured course offering superb routing, dramatic elevation changes, challenging greens, water features, and tees for players of all abilities. Select a hole to learn more about our course.